on the asset working states history that can be shown clicking the button on the right (lens icon). 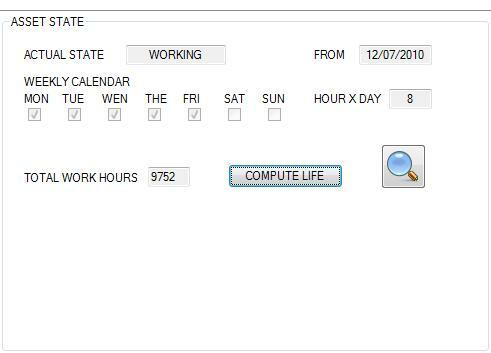 Asset Total Work Hours calculation can be obviously performed only if user defines at least one working state for it. Actually italian terms are used to indicate asset state.